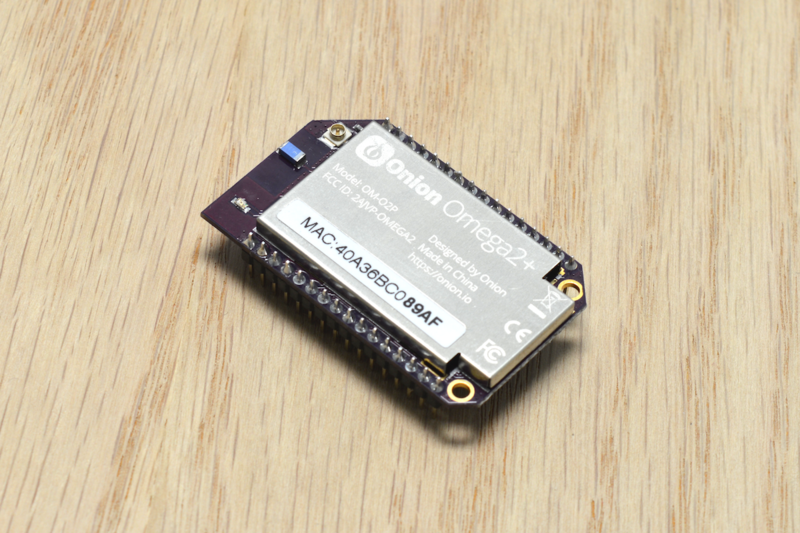 The Omega2+ IoT computer is Onion’s Linux-based, WiFi development board designed to enable makers of all skill levels to build connected hardware applications. 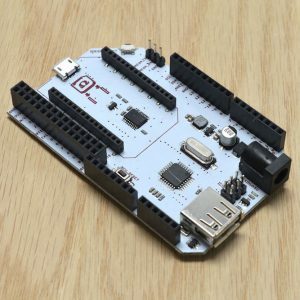 Plug in your Omega and it will boot the operating system right away, allowing you to develop in your favorite programming language, create web applications, and interface with a variety of hardware with minimal time and effort spent getting started. Compared to the Omega2, it has double the memory and storage, and also includes a MicroSD card slot. 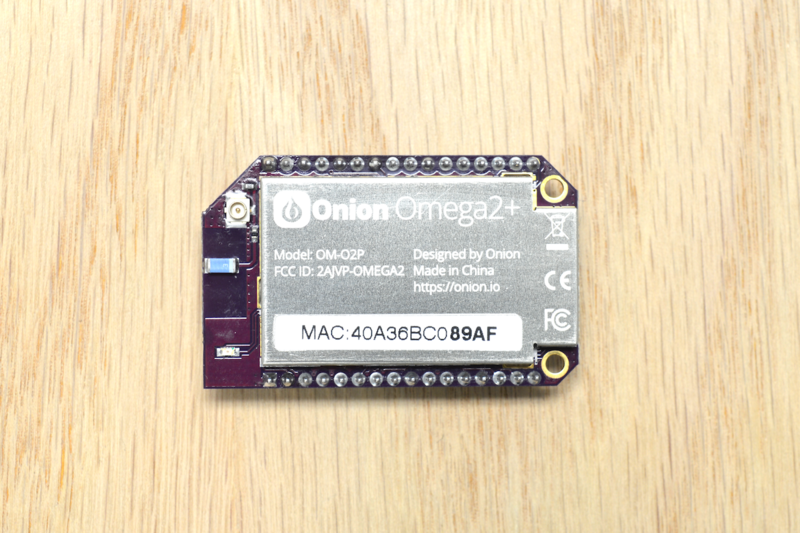 The Omega2+ IoT computer is Onion’s Linux-based, WiFi development board designed to enable makers of all skill levels to build connected hardware applications. 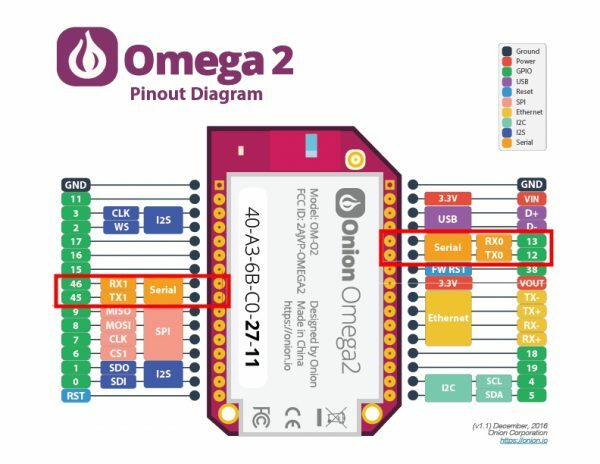 Plug in your Omega and it will boot the operating system right away, allowing you to develop in your favorite programming language, create web applications, and interface with a variety of hardware with minimal time and effort spent getting started. 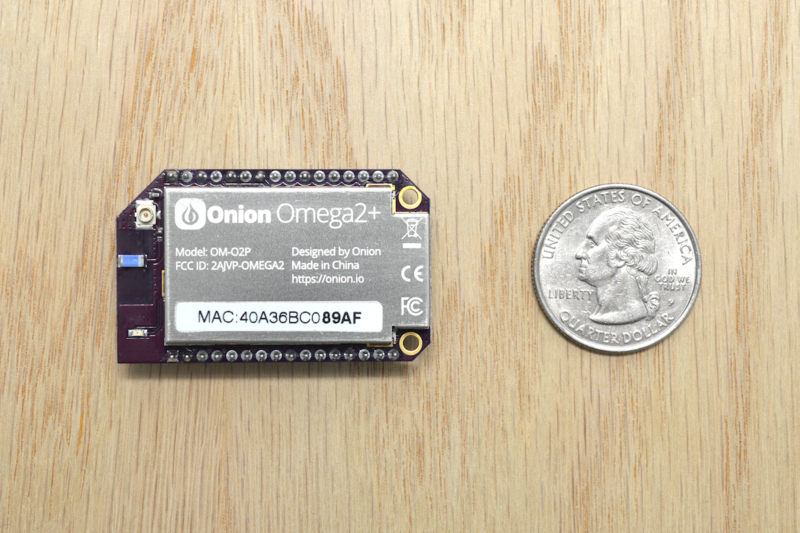 At the Omega2+’s core is the MT7688 SoC that features a 580 MHz MIPS CPU, supports 2.4 GHz IEEE 802.11 b/g/n WiFi as well as 10M/100M wired ethernet network connectivity, and operates at 3.3V. 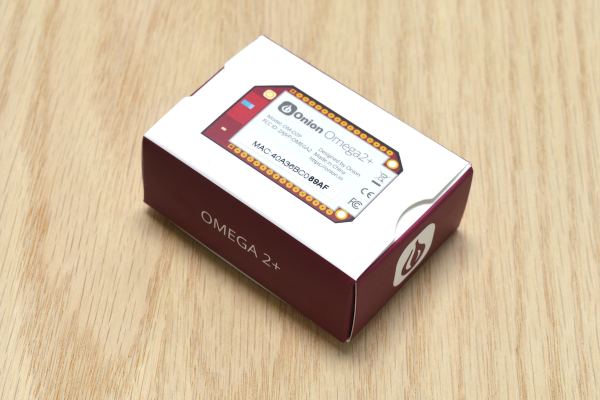 The Omega2+ comes with 128MB of DDR2 DRAM memory and 32MB of on-board flash storage, double that of the Omega2! The storage space is expandable using the MicroSD card slot on the underside of the Omega2+. The Omega was built to interact with other hardware, so it has a wide variety of hardware interfaces. 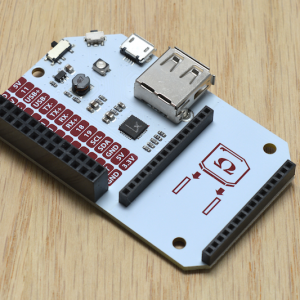 It has dedicated pins for USB2.0 and Ethernet as well as 12 GPIO pins that can be controlled by the user. These GPIOs can support the I2C, UART, and SPI serial communication protocols. The best part is that it’s tiny, measuring 1.7″ by 1″ it takes up minimal space in the project. The Omega’s OS comes equipped as a web server by default, so that other devices on the local network can interact with the Omega through a browser. The Omega2+ is powerful and flexible enough to be the brain of almost any IoT device. 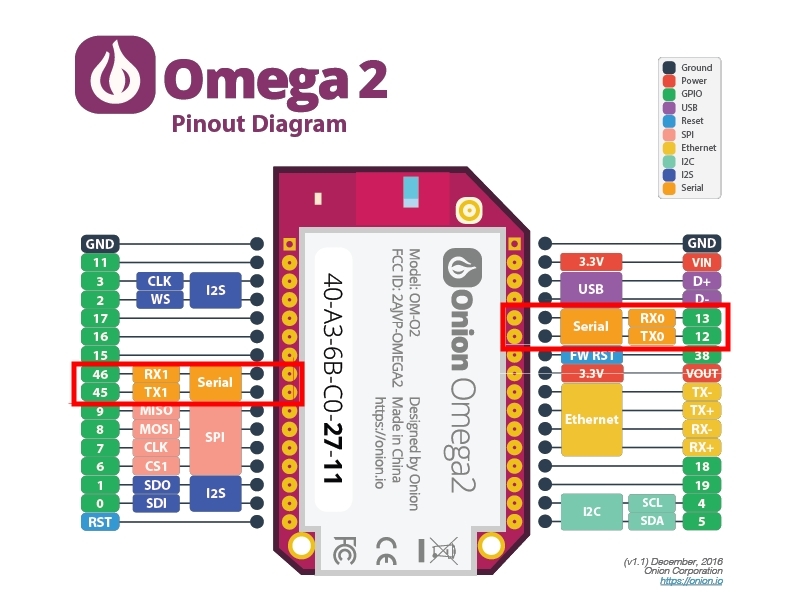 For the best experience and most functionality, the Omega can be plugged directly into any of a number of Docks provided by Onion. All Docks can be powered with a regular Micro-USB cable and contain a regulator circuit to safely provide 3.3V to power the Omega, so plug it in and get started with your Omega with no worries. Each Dock adds unique functionality to the Omega, including exposing the Omega’s GPIOs, supporting the plug and play Omega Expansions, provide USB connectivity, among other things. This is a really awesome little board! I love that it can run as a hotspot and simultaneously route to another hotspot itself is connected to. Well done and runs right out of the box. I had my existing app up an running the same day this board arrived (using python, websockets, python-tornado, python-serial, etc.) 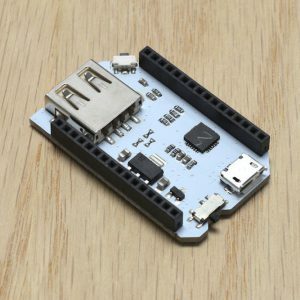 It’s not ARM-based, and onboard ‘disk’ is pretty tight for someone coming from the beaglebone world, but the nicely integrated wifi access point support is awesome … as is the price! Is it available for purchase? And if not then when will it be in shop? The Expansion Dock provides an easy way to power the Omega with any Micro USB cable and breaks out the Omega’s GPIO pins. 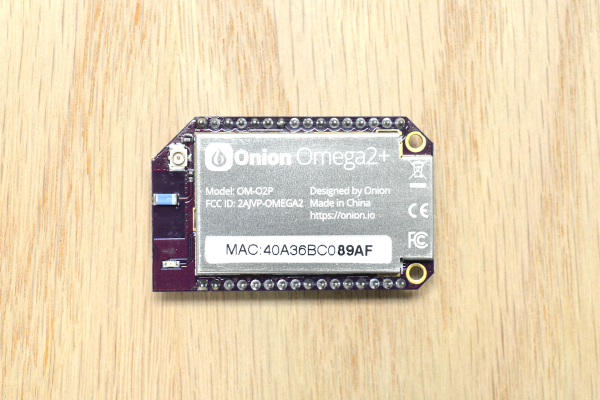 You can use them to control external circuits or connect Expansion boards to extend the functionality of your Omega. It also comes with an on-board USB-to-serial chip that allows you to access the terminal directly from your computer. 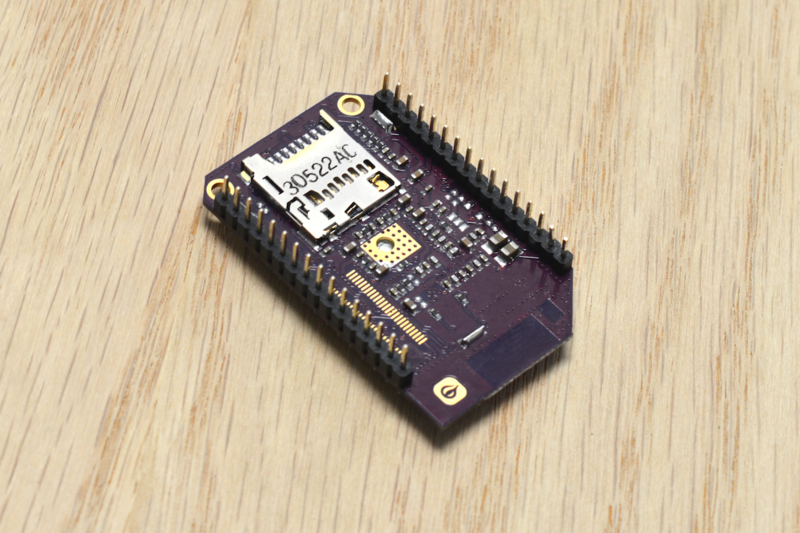 The Mini Dock is designed to power your Omega for applications that do not require GPIO pins. Its small form factor makes it suitable to use for wireless applications such as Wi-Fi range extension, wireless printing, wireless video streaming, and more. The Mini Dock comes with a built-in USB port, allowing you to plug and play a variety of USB devices into your Omega. An on-board USB-to-Serial chip provides easy access the Omega’s terminal directly from your computer.